Rant: I'm not a PC building enthusiast. In a perfect world, I'd rather get a PC that was pre-built. Why spend over $1k to watch glorified firework? I was about to grab a MSI gaming laptop but they are plagued by overheating issues with the CPU and GPU under full load. Another reason was that Coffee Lake was not available for laptop form factor. So understanding that, I ventured to my first PC build, with the enthusiasm of someone going to a dentist. End of rant. I happen to have an Ikea Expedit shelf with an extended desktop, so my preference is to build a PC that fits the space of an Expedit's shelf space. So after some preliminary research I decided to go with the mini-iTX form factor. The Tech Buyer's Guru "THE $2,000 ULTIMATE GAMING MINI-ITX PC BUILD" provided me a blueprint of the parts required, completed with instructions on order of assembling parts onto the case. Those instructions are incredibly helpful for a noob. Even with a big case, the PSU was a tight fit. The case power supply cable was thick and stiff, and to fit into the PSU socket the cable required a tight bend to push the plug in. Important to wire things in order. There's hardly much room to move around the cables once the PSU and the video card were in. Took a long time to build because of inexperience. Words couldn't describe the joy to watch the PC to boot to the BIOS on the first run. Not looking forward to disassemble it. Thermal paste tube came with the cooler. Fairly easy to assemble. The 950 EVO 256GB SSD would have been sufficient, but upgraded to this because of YOLO. Could have gone with a better video card but my monitors are FHD. I love this case for the size. It is small enough to fit my Expedit shelf, and yet it is large enough to fit in an ATX PSU and EVGA video cards with dual fans. Assembly is pretty straight-forward with the Tech Buyer Guru's "THE PC BUILDER'S GUIDES: ASSEMBLING AN EXTREME GAMING ITX PC". Enough slots for two HDD's, a SATA SSD and an optical drive if one so chooses. The case is a black metal box so it doesn't showcase the RGB blings. Probably not a plus to make to the feature builds, but a plus to me for minimizing distractions. I had this keyboard for a couple days. The keys are round so they feel more like typewriter keys than keyboard keys. On the upside there is a less chance of mistype due to fingers being stuck in between two keys. A good match with the M720 mouse for traversing between devices. I have had this mouse for a couple days now. A joy to use to traverse between computers. Pretty easy to set up after installing the Logitech Unifying Receiver and Options software. The Flow feature/software provides an impression that I am using one computer with three monitors when in fact you are using a PC with two monitors and a laptop. I could ctrl+c for some text or a screenshot on the laptop and ctrl+v it to the PC. Difficult decision as the Seagate drives are better priced but reviews on them were mixed. 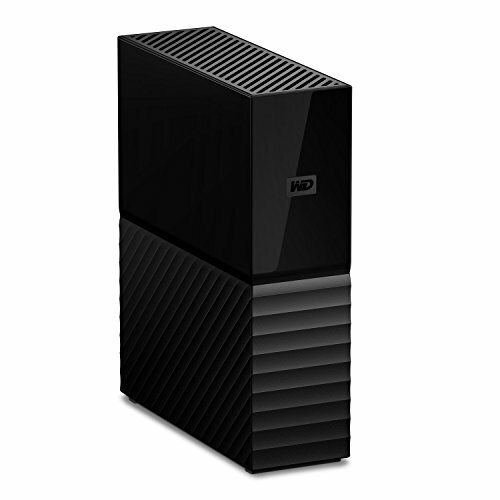 The WD drive hasn't arrived as of this writing. Nice compact little build for carrying around and everything:) I want a 8600k for my next build but didnt know if it was going 2 be a huge stepup over the 4690k..... how is the cpu treating you? Hey I got an question. I want to overclock my i5 8600k to 4.8GHz too. Can you maybe explain what you really did when you overclocked it and like what settings you changed in the bios. I would really appreciate it! Thanks in Advance. Wait you didn't do it from the BIOS? When you start the PC enter the bios, this is where you OC the cpu. Most motherboards especially high end ones will have an automatic OC tool which should get you to 4.8-5.0ghz depending on your cooler. Yeah but "auto" settings on motherboards have to support at least almost every possible chip you put in it, even the really bad ones. So they tend to crank up the voltage way above what might be necessary for an average chip. And with that it can possibly reduce the lifespan of the CPU. Nice build, I really like your desk. The only thing i wouldve said is that the CPU is crazy powerful for this build. Btw to save on space there are power supplies that are smaller "SFX power supplies". 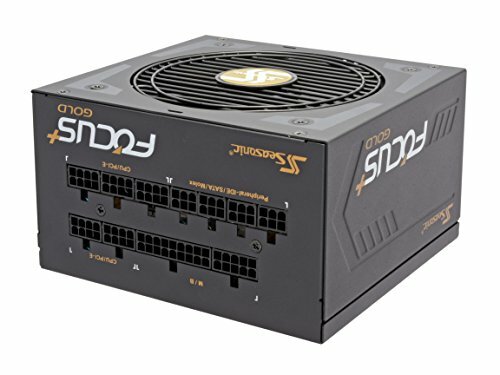 These are much smaller (corsair make a good one) and tend to work better on the ITX cases that still accept full sized PSU's like yours. How are your CPU temps? Did you OC it? That should be fine. I think 4.8ghz is the perfect speed for this case. This thing has no compromises really, should be crazy fast at productivity. I hope you enjoy! To be honest in gaming the 8600k is crazy overkill for the 1060, even at stock. For just gaming any modern quad core at around 4ghz will get the max out of the cpu. So an i3 8100 or Ryzen 1300x would do fine. The i5 8600k can handle a titan X when overclocked with basically no GPU bottleneck. That said it's not a bad thing have a cpu as powerful as yours, also the rest of the PC is just as high end. And as you say the 1060 isn't as powerful as the rest of the components, but you play in 1080p 60fps, so this isn't a problem. "EVGA - GeForce GTX 1060 6GB 6GB FTW2 GAMING iCX Video Card Could have gone with a better video card but my monitors are FHD."" 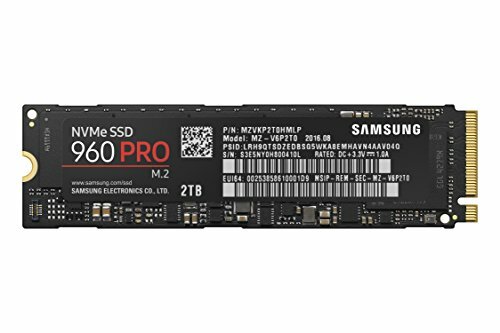 I wouldn't use that m.2 ssd because its quite expensive. I also would not have used that motherboard or RAM.Most of these parts are far too expensive. If you opted for a cheaper ssd and ram , you could've bought an 7700k or even a 8700k. I salute you in your endeavor to make this happen despite not being a PC guy, especially a mITX machine. Most of us do this for the love; you did it for necessity and went through all of this. I applaud that. I also used the Tech Buyer's Guru as a resource when I built my mITX computer (in addition to tons of other places, but that's just what passes for "fun" over in my world). I wish I had been more patient. Not only would I have had better deals, but also probably better hardware since the CPU wars kicked off by Ryzen would have benefited me. But, with my laptop being not much more than a glorified meal tray, I felt I needed to build soon. Ah, well, such is life. Hope you get many good years out of your hard work. Hey nice build , I have 8600k too and was wondering if H7 would be enough as some people say OC on this cpu should be done with better cooler, I saw you mentioned that you overclocked it to 4.8 (just as I was planning on overclocking too) how's the temps right now ?